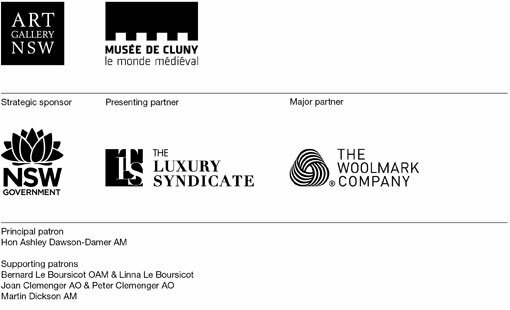 Only the third time The lady and the unicorn tapestry series has left France in 500 years, this is a once-in-a-lifetime opportunity to experience the beauty and intricacy of some of the world’s most enigmatic masterpieces. Revered as a French national treasure, the ‘Mona Lisa of the Middle Ages’ is exclusively in Sydney for a limited time. Designed in Paris circa 1500, the tapestries are considered as some of the greatest surviving masterpieces of medieval European art. They depict a lady flanked by a lion and a unicorn, surrounded by an enchanting world of animals, trees and flowers. One of the most intriguing aspects of these six large-scale artworks is the mystery of their origin and meaning. For whom were these masterpieces made? What do they symbolise? What stories do they tell? If you’re travelling from outside of Sydney to see the exhibition, take advantage of our special ticket offer and start planning your visit below. Interstate, regional and International visitors can see The lady and the unicorn for just $14. Enter the promotional code ILOVESYDNEY when you buy tickets online via Qtix or at the ticketing desk. Due to popular demand, tickets are timed and dated. You need to specify a date and time when booking. Identification for proof of address may be requested at the entrance.